Fortunately with this one, we have the backing – albeit ironically – from Ofsted who clearly state in their most up to date ‘myths’ document: ‘Ofsted does not expect schools to use the Ofsted evaluation schedule to grade teaching or individual lessons.’ Furthermore, they no longer grade individual lessons during inspections. Yet up and down the country, teachers -directly or indirectly- are being awarded grades for individual lessons. So why is this happening? Why do we need to stop it? Part of the problem, however, is that older and newer teachers (including trainees) have all taught in an era of lesson grading so this is what they have become accustomed to and many still want. There are lots of reasons why a teacher may ask for a grade, and a reason why some schools are still giving them is because many staff are still asking for them. (Observers often think it’s okay to violate their own school policy). Did you ever notice how when leadership teams got observed they’d always (during the days of grading) be judged as outstanding? Yep. All of them. Outstanding- when they observed each other, of course. As we risk going off on a tangent, this article is not about favouritism. Rather, the point being made is that the only reason we know this to be the case, is because of the grading system: It’s easy to gossip about which member of SLT got a grade 3, but it is nowhere near as fun to talk about whose lesson could have been better had they used model answers to exam questions. 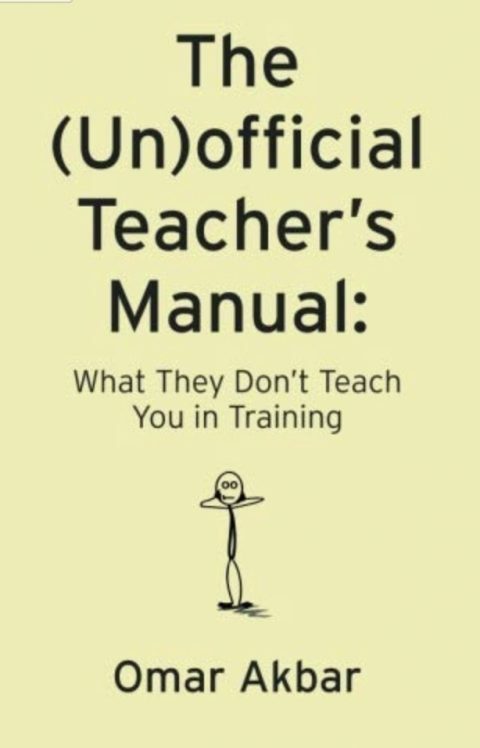 From early in my career, I can recall some pretentious staff beginning sentences with ‘As an outstanding teacher, I feel that . . .’ As if achieving one outstanding lesson in one year somehow gave them the outstanding title by which they would rule the world. By grading, not only do we risk labelling staff on the basis of very little, but we are also creating divisions between staff – also on the basis of very little. Not literally, but figuratively. Not too long ago, when Ofsted were very particular, what appeared to be a multimillion-pound industry transpired. The industry consisted of many INSETs and courses that would teach their attendees exactly what to do in their lessons in order to be graded as outstanding. To give credit to the courses, they did share many strategies on how best to engage pupils, but many a teacher became outcome orientated, rather than process orientated. (If you read any book on how to become successful at anything, successful people will advise that you have a passion for the process rather than being fixated on a reward or outcome). I came across the lesson described in the tweet below which appears to have gone viral and with good reason. Browsing the 189 comments, I could not see a single teacher interested in the grade or even if the lesson was an observed one. Rather, most teachers simple wanted the lesson plan! This is testimony to the fact that most good teachers are inherently process orientated. While I haven’t asked @primaryteachew, my gut tells me that this was done out of passion for the subject and innate creativity; not from browsing some checklist and trying to include everything. We should keep it this way. Teaching is a process from which pupils learn- not a task which we complete to achieve a grade, and this is where the ‘cheating’ element came into play: You see, because many became desperate to become outstanding, they started following rigid, ‘fool proof’ lesson plans, so in essence, teachers were teaching to their test! The tragic comedy in all of this? Leadership teams would routinely complain that they only saw ‘safe’ lessons and staff shouldn’t be afraid to be creative. Yes, after drilling in exactly how teachers are to get a good/outstanding, they would then criticise teachers for doing it! I genuinely believe that an absence of grading would put an end to what can only be described as a teaching media circus. Oftentimes, we pay no attention to the feedback the moment we have received our grade. Now we can’t be entirely blamed for this, as many schools have made the observation process a damning one. Early in my career, for example, a deputy head invaded my personal space, and pointed in my face, for writing -rather than typing- my lesson plan. (I recall reactively getting into my boxing stance; the look on my head of departments face was priceless). I don’t think I listened to feedback for the next 5 years after that as the feeling of relief provided too much sedation for me to able to listen to anything! If a school is genuine in its assertion that lesson observations are developmental, then the focus needs to be on the dialogue (the process) and not the grade. Even a teachers best lesson identifies areas for further development and by being content with a particular grade, we run the risk of not using the observation process to our advantage. I have a confession. If I observe you, I actually don’t care too much if your pupils don’t make progress ‘in line with whole school expectations.’ I value pupil engagement, pace, and strong relationships more than I value the former. The problem is that many observers would disagree with me, so equally good members of staff could be graded differently by different observers. Grades are subjective – no matter what anyone says. (You may argue that feedback also is, but feedback does not categorise teachers the way grades do). Be process orientated. Stop grading lessons. Which school is right for me? Rough? Or Prim and Proper?